Greek cuisine has a long tradition and its flavors change with the season and its geography. Greek cookery, historically a forerunner of Western cuisine, spread its culinary influence – via ancient Rome – throughout Europe and beyond. It has influences from the different people’s cuisine the Greeks have interacted with over the centuries, as evidenced by several types of sweets and cooked foods. The most characteristic and ancient element of Greek cuisine is olive oil, which is frequently used in most dishes. It is produced from the olive trees prominent throughout the region, and adds to the distinctive taste of Greek food. 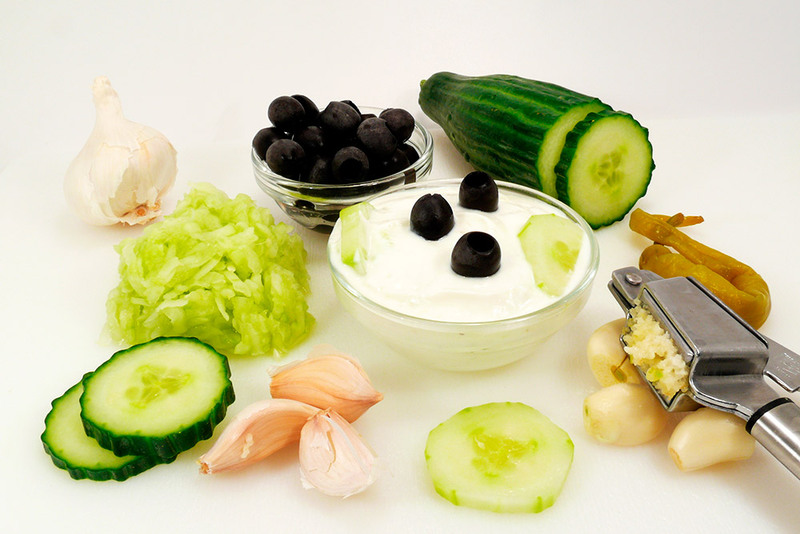 Greek cuisine uses some flavorings more often than other Mediterranean cuisines do, namely: oregano, mint, garlic, onion, dill and bay laurel leaves. Other common herbs and spices include basil, thyme and fennel seed. Many Greek recipes, especially in the northern parts of the country, use “sweet” spices in combination with meat, for example cinnamon and cloves in stews. A great variety of cheese types are used in Greek cuisine, including Feta, Kasseri, Kefalotyri, Graviera, Anthotyros, Manouri, Metsovone and Mizithra. 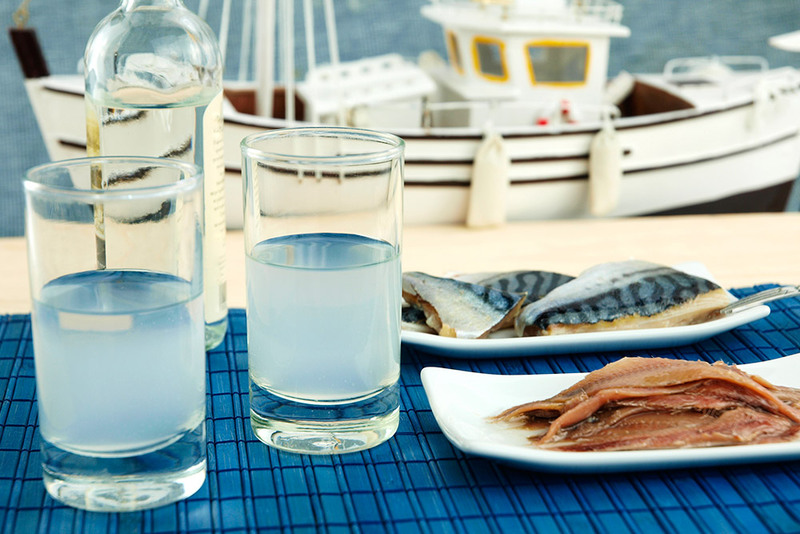 Too much refinement is generally considered to be against the hearty spirit of the Greek cuisine, though recent trends among Greek culinary circles tend to favor a somewhat more refined approach. Dining out is common in Greece, and has been for quite some time. The Tavern is widespread, serving traditional Greek home cooking at affordable prices to both locals and tourists. In addition, some traditional Greek foods, especially souvlaki gyros, tyropita (cheese pie)and spanakopita (respectively, cheese and spinach pie) are often served everywhere in the country. 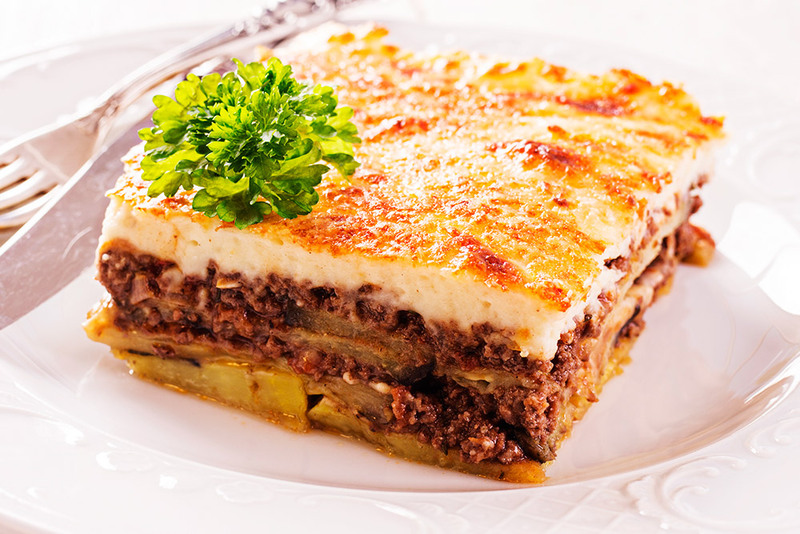 Perhaps the most widely recognized of all Greek dishes, this oven-baked casserole of layered eggplant and spiced meat filling topped with a creamy béchamel will be the highlight of any Greek meal. 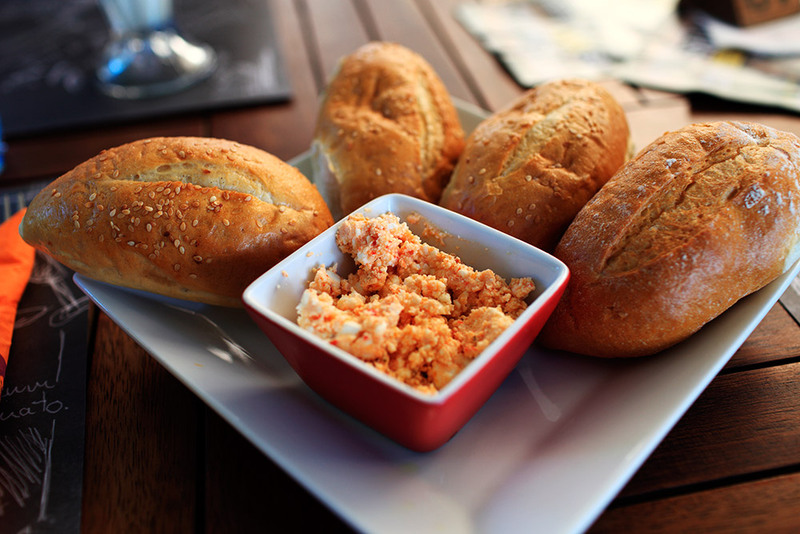 A spread or dip, the main ingredients of which are feta cheese, roasted red peppers, and garlic. Can be spicy hot or mild. 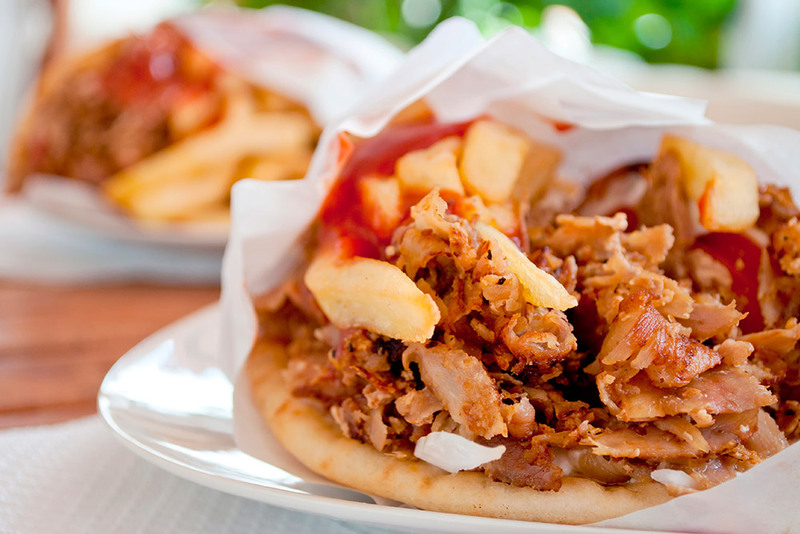 Meat roasted on a vertically turning spit and served with sauce (often tzatziki) and garnishes (tomato, onions) on pita bread. 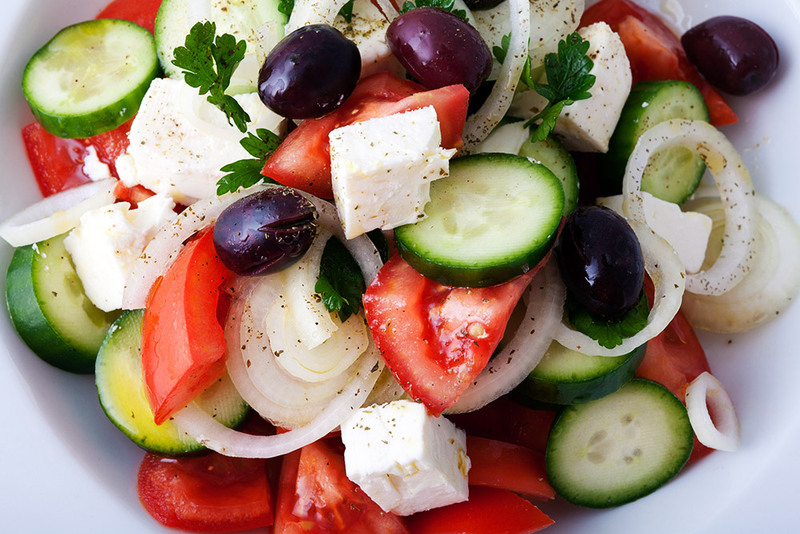 Greek salad or Horiatiki is made with pieces of tomatoes, sliced cucumbers, onion, feta cheese, and olives, typically seasoned with salt and oregano, and dressed with olive oil. Common additions include the pickled leaves, buds or berries of capers (especially in the Dodecanese islands).